While out and about in London in the days leading up to the arrival of Royal Baby Sussex, Meghan wore a pair of Spring Court sneakers. 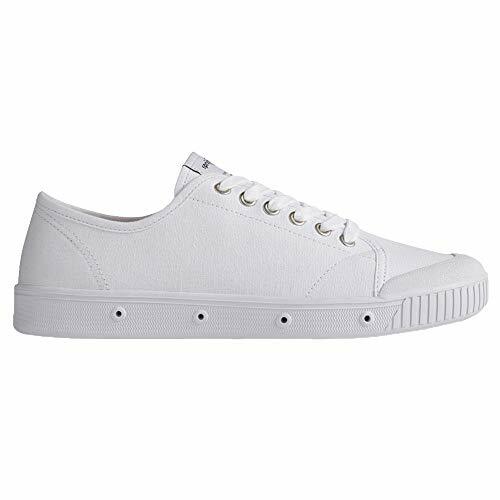 These low top sneakers have a white cotton canvas upper with an off-white cotton lining, a white rubber midsole and a natural colour outsole. It also features a patented ventilation outsole. They come with flat white cotton laces, 12 eyelets and removable polyurethane cotton top insoles.